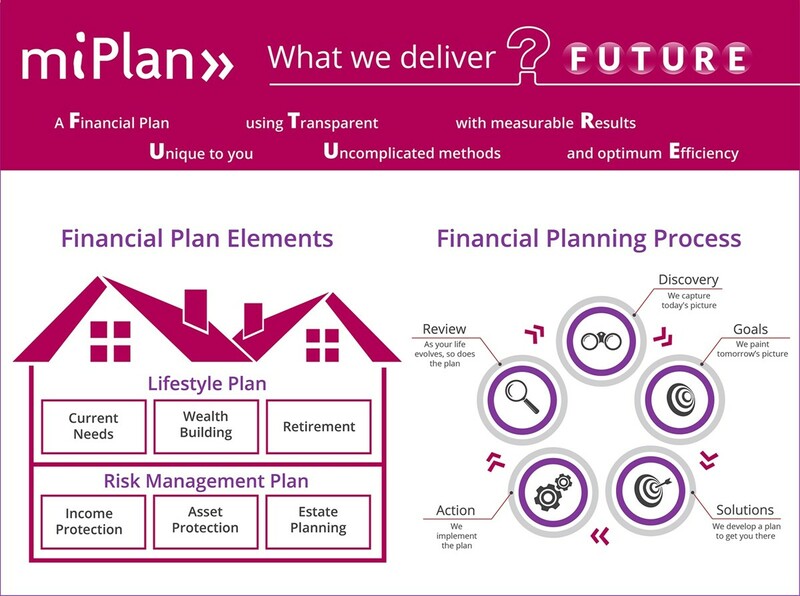 miPlan’s FUTURE financial planning process is changing the way financial advice is delivered. Our scenarios based approach results in a more natural conversation with clients, which in turn helps demystify what we do and clarify the benefits our clients receive over the long term. Do I like this person? Would I enjoy working with them to secure my financial future over a number of years? Could I trust this person? Trust cannot be immediate, but you have to believe that your adviser will be in your corner and there for you when you need them. Does what they say make sense? Do their ideas fit with my goals? Can I see value in the approach? We hope you will come in for an initial “no strings” chat to see what we can do for you.